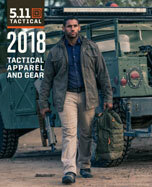 Exclusive to 5.11, concealed carry Holster Shirts offer an innovative design, durable construction, and an ergonomic fit for reliable weapon storage and retrieval. Featuring dual fabric holsters supported by integrated mesh yoke supports, 5.11 holster shirts offer quick and easy covert storage of your compact handgun and accessories. An opaque outer mesh layer conceals the handgun profile, allowing you to stay prepared without drawing attention. Our CCW holster shirts are built from a moisture-wicking blend of Polyester and Spandex, providing a comfortable, compressed look and feel that maximizes weapon retention. Superior construction, reliable functionality, and unbeatable covert utility, our line of Holster Shirts are a 5.11 original that you won’t find anywhere else.